Increases in climate variability have placed new emphasis on the need for resilient wheat varieties. Alongside demands for increased resiliency, consumer interest in healthier, more functional foods is growing. Therefore, the identification of potential breeding targets to create climate-resilient, nutritionally improved wheat varieties is of particular interest. Fructans are carbohydrates found in many plants, including wheat, which serve physiological roles in both plants and humans. Within plants, fructans are essential in conferring tolerance to stresses associated with climate variability (i.e., drought, cold temperatures, and salinity). And fructan consumption by humans promotes improved health through modulation of gut health. Fructan content of wheat grain varies by genotype, however, the utility of fructans as a breeding target to develop climate resilience, nutritious wheat varieties has not been examined. A paper recently published in Crop Science examines connections between fructans in wheat plants, wheat-based food products, and impacts of fructan consumption on human health. Drawing upon the current state of knowledge about wheat grain fructans and human health, potential breeding methodologies and goals were suggested. 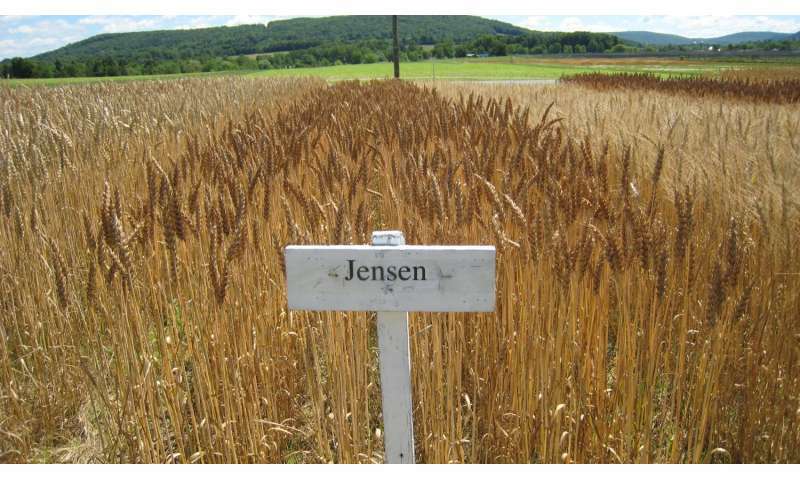 Implementation of breeding for increased wheat fructans will likely result in the development of climate-resilient varieties with increased nutritional value.